A friend ones told me; I have missed your Abacha and that alone sounded amazing to me and brought back some good memories🙋😊. I immediately remembered preparing Abacha and taking some nice pictures, hoping to share them with you all one of these days and that day is here👌. Abacha can be filling and is one food we grew up eating from Grannies and my Mum, they prepare it so tasty with all the native ingredients. Abacha is common in the eastern part of Nigeria. I can’t think of any event that happened in my place without Abacha as one the cuisine for the day. 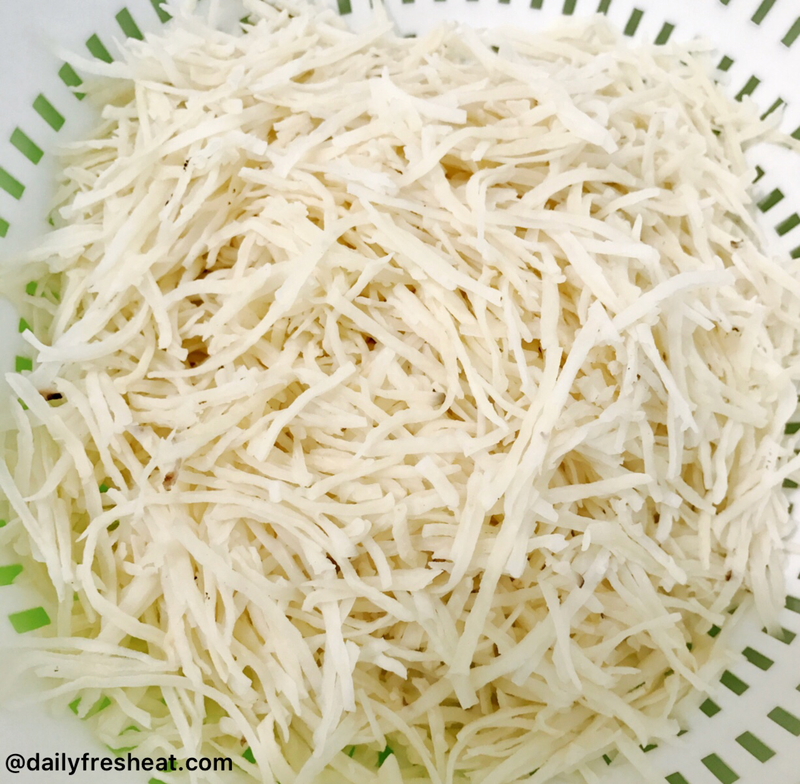 Abacha is from cassava root, which goes through some processes (cooking of cassava roots and slicing with a grater specifically designed) and comes out wet. Most people like preparing theirs wet, then the larger portion of the Abacha will be dried up under the sun for preservation. 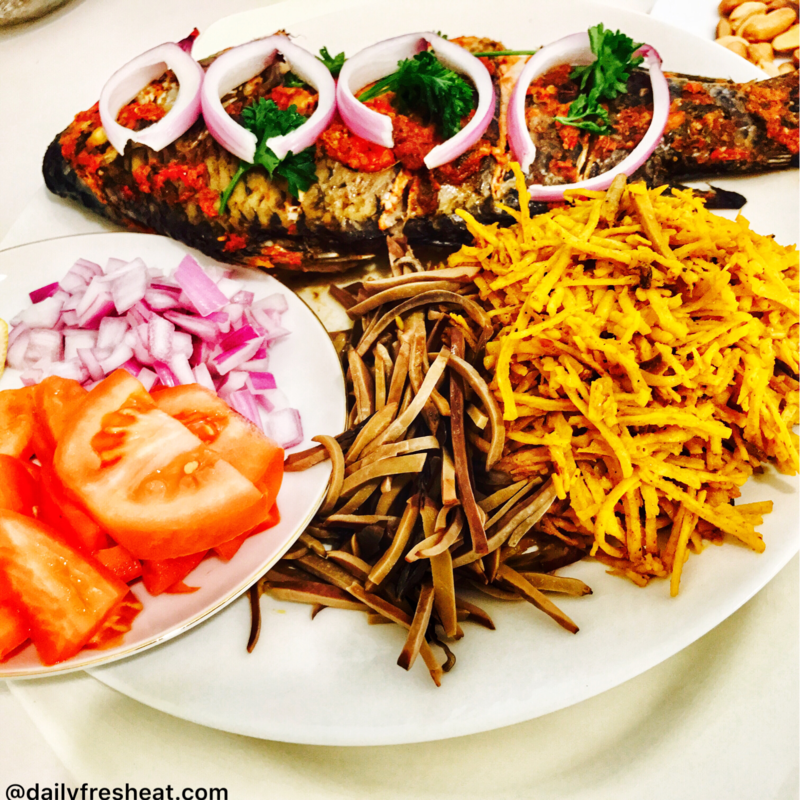 I will give you a list of ingredients that make my Abacha unique and flavorful. • 1 handfuls of Akpaka (Oil bean) – some people call it Ugba, but we (people from Enugu State, Nigeria) have an ingredient named Ugba. You can also use Kpomo (cow skin) and Garden eggs and Garden egg leaves. But for this recipe, I will be using the first listed ingredients. 1. 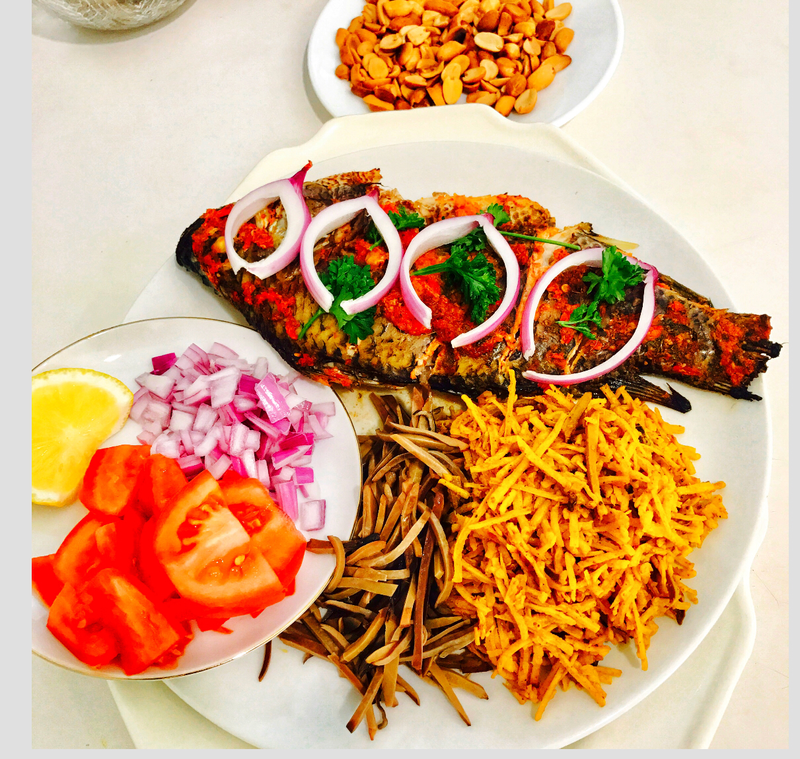 Fry or grill the tilapia or mackerel. 2. 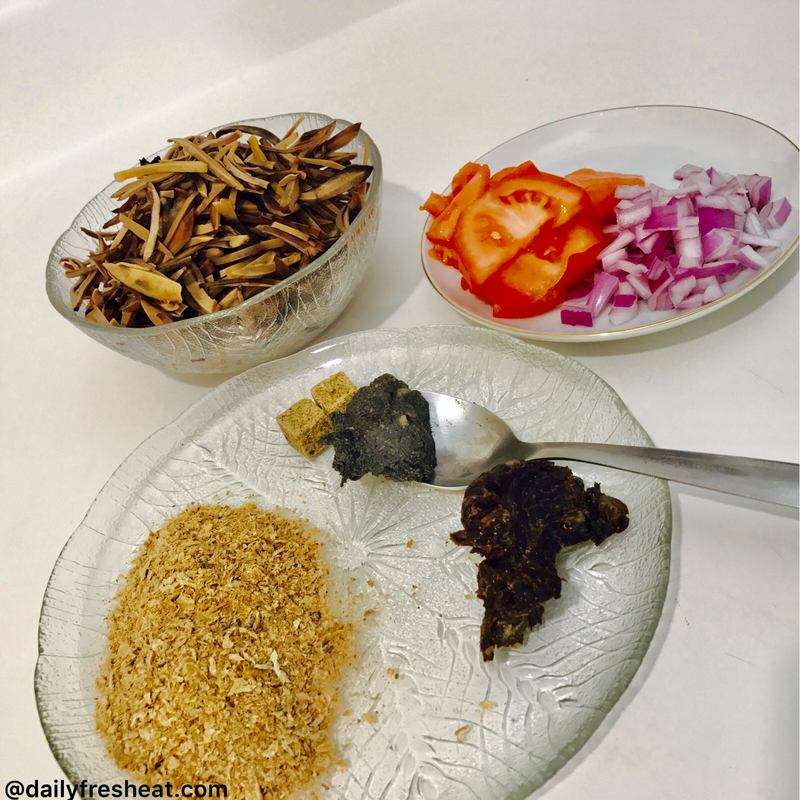 Soak the Abacha in warm water. 3. Wash and cut the onion into tiny pieces. Note: you don’t need a stove for preparing the Abacha. 1. Pour the Abacha into a bowl or pot, add the Akpaka, Ugba, Ogiri-ede, Crayfish, pepper, Salt, Seasoning cube and Palm-oil. 3. Splash a little water on it if required to let ingredients blend very well (don’t pour water on it). 4. Add more salt if necessary. 5. You can now add the sliced onions or add it beside the Abacha when serving it. 6. 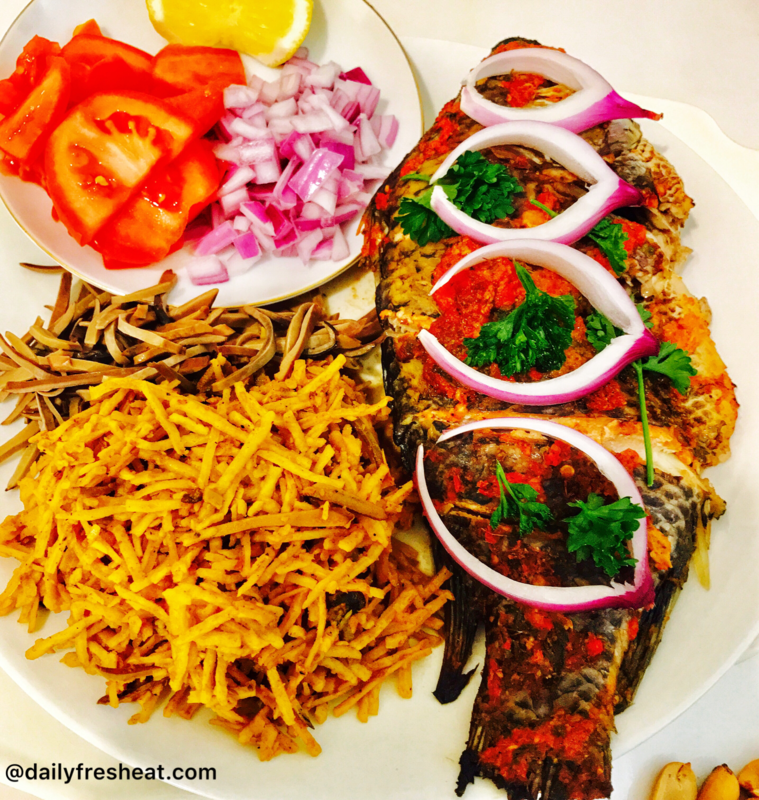 Once you are done serve the Abacha with the grilled fish.